PARIS France (PAMACC News) – Political leaders, civil society organisations and scientists at the ongoing climate change negotiations in Paris have lauded the Young African Lawyers (YAL) programme on climate change initiative, saying that the young experts hold the key to the future climate governance. 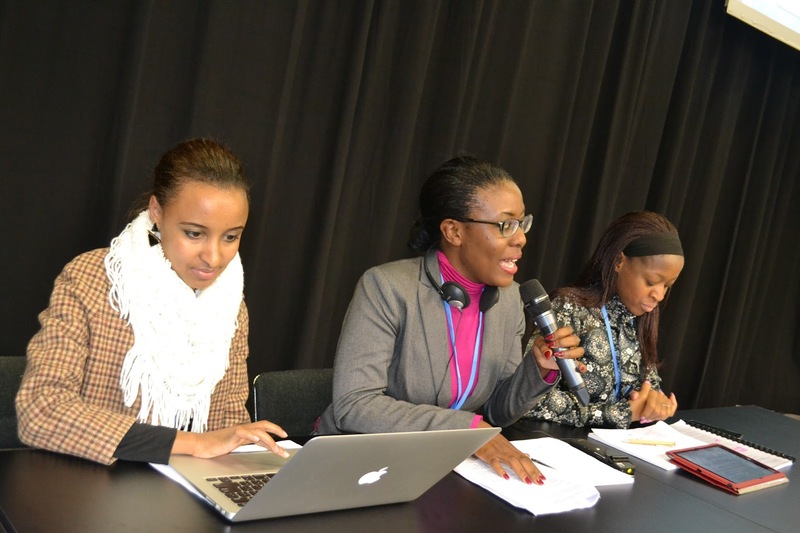 “When we invest in protecting the climate, we are investing in the future, and therefore it is important to invest in young African lawyers so that they can take over from the current negotiators,” said Mithika Mwenda, the Secretary General for Pan African Climate Justice Alliance (PACJA). The YAL programme, established under the ClimDev - Africa Programme has the overarching goal of strengthening African's negotiating position and ensuring Africa gets the best possible deal under the United Nations Framework Convention on Climate Change (UNFCCC) process. The programme is providing opportunities for building the expertise of young African lawyers on climate change in order to support national responses of African countries to address climate change through formulation of policies, strategies and laws. “Climate change is a new subject, and therefore most of the existing legal frameworks do not incorporate it,” said Dr Wilbur Ottichilo, a Member of Parliament in Kenya and chair of the Parliamentary Network on Renewable Energy and Climate Change. According to Matthew Stilwell, a climate change expert and legal adviser to the African Group of Negotiators (AGN), each pillar of negotiation has different legal questions that must be interpreted and answered by legal experts, hence, the importance of nurturing the skills of young lawyers. “We have issues to do with adaptation and loss and damage, which are legal issues. How do you ensure that developed countries fulfill their financial agreements? How do you ensure that they deliver the $100 billion to Africa? All these are legal questions that require legal expertise,” he told an even at the African Pavilion on the sidelines of the ongoing 21 session of the UNFCCC Conference of Parties (COP21) in Paris. According to Dr Fatima Denton, the Director for Special Initiatives Division of UN Economic Commission for Africa, the youth should be the focus of climate change initiatives. “Humanity is becoming increasingly African. A recent UNICEF report found out that 16 out of 100 world inhabitants are Africans, majority who are youth. Youth must be involved in interpreting and analysing climate change issues because it affects them more. Africa must invest in knowledge,” she said. Dr Ottichillo urged African universities to start graduate and post-graduate studies in climate change. “Just like the universities introduced environment studies in the 1980s, they should do so in climate change so that we have a team of knowledgeable experts like the YAN to steer the continent to finding solutions to climate change,” he said. Dr Seth Osafo, former senior legal adviser of the United Nations Framework Convention on Climate Change (UNFCCC) secretariat and lead mentor of YAL noted the programme is very critical to the African negotiators. “I have been involved in the discussions for long and want to appreciate the role the young lawyers are playing. Their contribution leaves the negotiators with time to fully participate in the discussions as the lawyers delve into legal issues,” said Dr Osafo. The YAL programme is sponsored by the African Development Bank (AfDB) under ClimDev-Africa Programme, the African Union Commission (AUC), UNECA and African Climate Policy Centre (ACPC).